The increase in online retail sales actually helps these holdouts prosper and the neighborhood convenience store falls squarely into that category. Catering to the busy consumer on the move, specializing in a limited range of must-have items and impulse buys; the local convenience store has proven to be a lucrative business venture for those owners with the right combination of business sense, adequate capital investment, and — of course — the right location. There are nearly 155,000 convenience stores operating in the United States. The convenience retail industry has roughly double in size over the last 30 years. Nearly 155 billion gallons of gasoline were purchased at gas station/convenience stores in the United States in 2016. 45 percent of fuel customers go in-store to purchase a beverage; 36 percent to buy a snack. Most businesses open to the public must give serious consideration to location. But when it comes to opening a convenience store, this becomes the prime issue. The entire reason convenience stores exist and thrive is because time-starved consumers who don't want to go out of their way, or spend an hour weaving through the aisles of a big-box store for milk and eggs, will stop at a small neighborhood store precisely because it's convenient. A “convenience store” that's not convenient is simply a small, poorly stocked grocery store with gas pumps out front. In addition to excellent road access (preferably on the main commuting path) and high visibility, the location for a prospective convenience store should be far enough away from other convenience stores to establish a significant local clientele. The alternative is to set up shop very near one or more established stores, competing directly by differentiating on product selection, price, or marketing gimmicks. While this can work, it is a riskier proposition. While several large chains dominate the convenience store industry, independent stores are also very common, can be equally successful and even more profitable (since franchise fees will not be required). However, business owners interested in opening their own profitable convenience store quickly with little difficulty will likely find ease and speed with an established franchise such as 7-11 or Circle-K. Opening a franchise location is likely to cost approximately the same as building a brand new independent store, and the franchise fees continue after the grand opening as well. In exchange, a franchisee receives detailed policies and procedures that have been proved to be successful, also help with marketing and promotion and the instantly recognizable branding. An independent store, on the other hand, has flexibility the franchisee will never experience, as well as a larger profit margin, sans franchise fees. In the end, this decision will depend on the individual business owner's preference and desire. In either case, a sizable level of startup capital will be needed to get a new convenience store off the ground and to carry it through the initial period, during which the neighborhood needs to learn it is there. The costs of investing in a franchise or starting up a new store are often equivalent. All other things being equal, an independent store owner will likely find that period - prior to profitability - to be longer than the franchise owner experiences. Of course, after the profit line is reached, independent owners can build a larger margin. While the figures cover a wide spectrum based on real estate values and other factors in various areas, the basic convenience store/gas station combination, stocked with all the standard products will require a startup investment of over $300,000 and will likely require monthly operating expenses over $20,000. A busy gas station/convenience store can easily bring in $25,000 a month in profit, however, a new owner will need funds on hand to cover those operating expenses and financing costs until the store begins turning a profit; which could take several months. Another important factor new convenience store owners must consider is hiring responsible and dependable employees to manage the store in your absence. Often, a small store can be run by just one or two people, but it requires a high level of autonomy unless you want to be there personally fixing their mistakes day after day. In addition to the myriad tasks your employees will need to keep up with, there is the matter of security. Unfortunately, the convenience store environment — with many small products that are easily stolen, and thousands of dollars of cash handled daily — becomes a magnet to unethical employees. Automated security measures can and do prevent some loss or allow for prosecution after the fact, but an even better and more cost-effective option for the new convenience store owner is to make an effort to attract and keep reliable and trustworthy employees from the start. 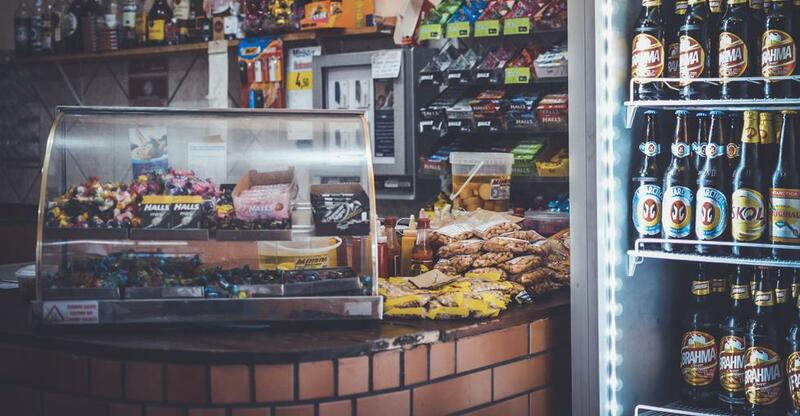 If you’re interested in buying a convenience store, check out the latest listings of available convenience stores for sale , then contact an experienced business broker to help answer your questions and guide the transaction to sure success.